On the 26th of May 2017 the Ministry of Environment and Spatial Planning of the Republic of Slovenia issued the operating permit for the railway track 18c at the Port of Koper. 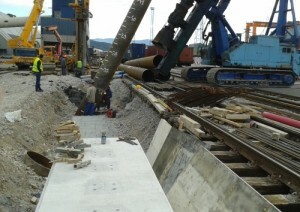 The railway track has been therefore put into use to serve the empty depo for containers at the Port of Koper. 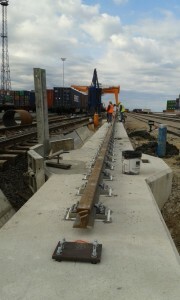 The construction of the railway track 18c is co-financed by the CEF Action Napa4Core and started in December 2016. 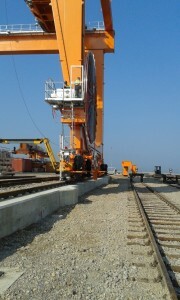 With the construction of the railway track 18c, the NAPA4CORE sub-activity 3.4 is concluded. 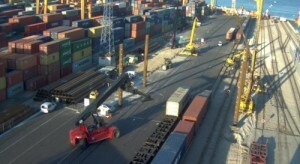 Such sub-activity foresaw beside the construction of the mentioned track 18c, also the construction of railway tracks 21 a, b and c with a railway bridge and the construction of 2 gantry cranes tracks, which are all needed to support the growth of the container traffic. Right due to the constant increase in the number of containers in Koper, an empty depo has been arranged in the hinterland of the container terminal, which is expected to be fully operational by mid-July 2017. On the 15th of May 2017 the Environmental Agency of the Republic of Slovenia issued the environmental consent for the Comprehensive arrangement of Pier I at the Port of Koper. Such arrangement includes a series of container related investments, some of which are co-financed through the CEF NAPA4CORE Action. The environmental permit confirms among others the environmental acceptability of the Extension of the southern operational shore of Pier I with the construction of berth 7D. Cumulative effects with other container related investments for which the full EIA was not necessary, but are also co-financed as part of NAPA4CORE were also considered in the environmental report. Such investments are indicated in the picture below. In case in the next 15 days complaints won’t be filed, the project for acquisition of the building permit for the construction of berth 7D will be submitted to competent authorities. In Ferrara, September 21 to 23 at the fairgrounds, there was the Italian specialized event on the land reclamation of contaminated sites, the protection and restoration of the area, named RemTech 2016. The event, now in its tenth edition, has deepened the topics of greatest interest and importance in the field of environmental protection and redevelopment of the territory, from the recent legislative changes, the analysis of environmental risk, from remediation technologies, to the innovations in the field of monitoring and environmental control. 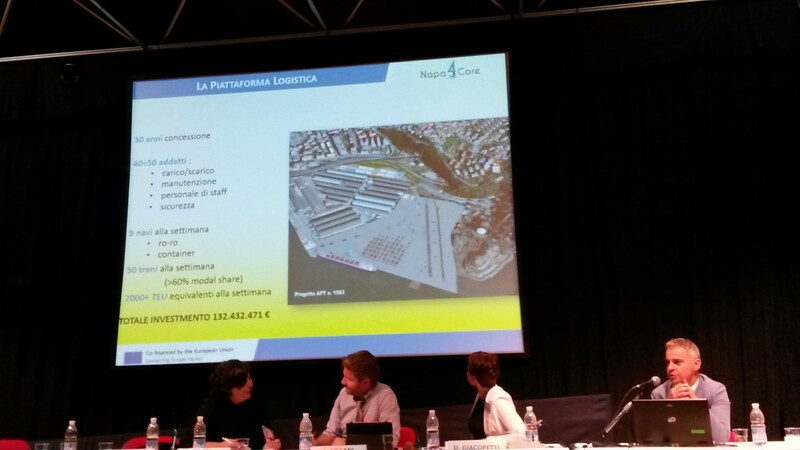 On that occasion, the Trieste Port Authority gave a presentation of the interventions and the shipyards currently underway in the port aerea located between the terminal Scalo Legnami and Siderurgico Factory in Servola, in order to build a new logisticsplatform in traffic service maritime and intermodal. 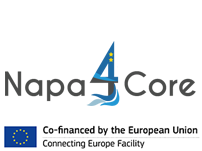 The project, co-funded by the European Program Connecting Europe Facility, is part of Napa4Core project also includesinfrastructure works to improve the accessibility to the land and sea of the port of Koper and the Rete Autostrade Mediterraneecollaboration S.p.A.
More specifically, the areas affected by the construction of the new accosto facilities for RO-RO ships, by the creation of newberths for cargo and containers and the possibility of using the backwaters areas for port operations and / or the approach andcontainer handling and storage, are located within the polluted site of national interest of Trieste. This condition requires the preliminary delicate operations on land bonifica of groundwater, remediation of contaminated soils and the marine cleaning up by dredging sediment. These latter actions are managed and monitored through an innovative open source software that provides a continuous process of assessment and control both by the Port Authority that the stakeholders involved in the interventions in place. After the event, Eng. 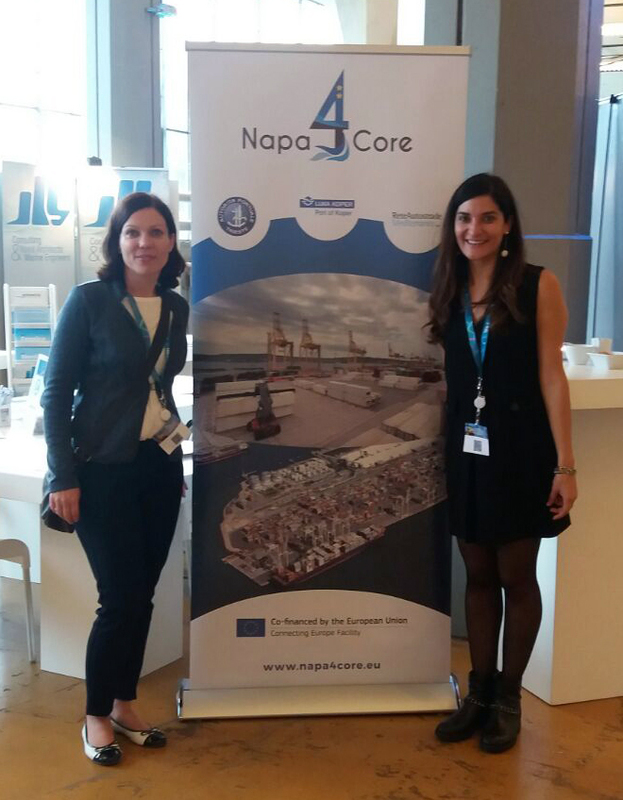 Marcone, Director, Head of the Technical Port Authority of Trieste, expressed “great satisfaction with thefruitful day’s work”, stressing the importance of tools to implement open, transparent and participatory on particularly sensitive issues and impactful in terms environment for our city. By Mid October 2016 the construction of the third stretch of RMG lanes was concluded in Koper. In that way by the end of this year it is expected that RMG lanes of a total of 740 meters will be constructed as part of the NAPA4CORE Action. The new lanes will support operations with new RMG cranes, two of which arrived in Koper at the end of September. The construction has been divided into seven stretches to minimize interference with railway operations. Steel piles are foreseen for deep foundations. From the 20th to the 22nd of June, the TEN-T Days, the important yearly event dedicated to European Transport, took place in Rotterdam . The event was organized by the Directorate-General for Mobility and Transport of the European Commission, in cooperation with the Dutch Presidency of the Council of the European Union. The event was extremely successful, gathering more than 2.500 people coming from the industry, the public sector and the research fields. 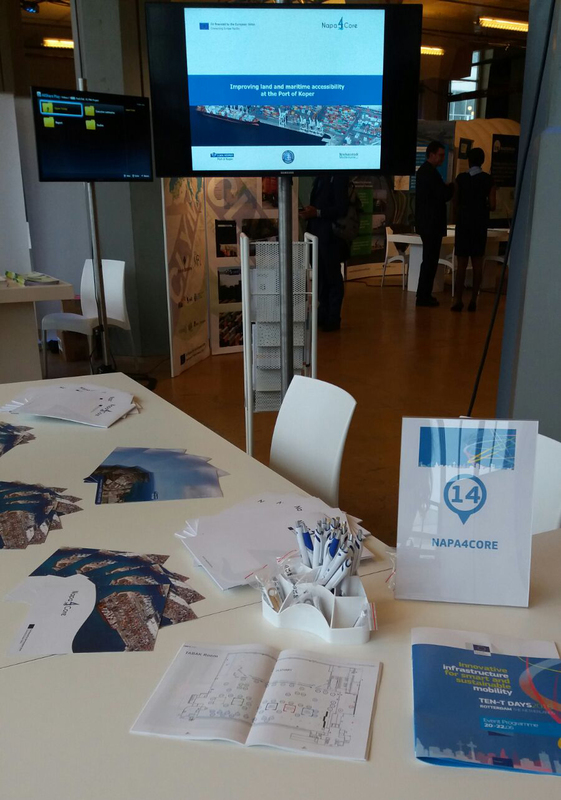 In this framework, NAPA4CORE has been disseminated through a dedicated stand in which the promotional material has been distributed. 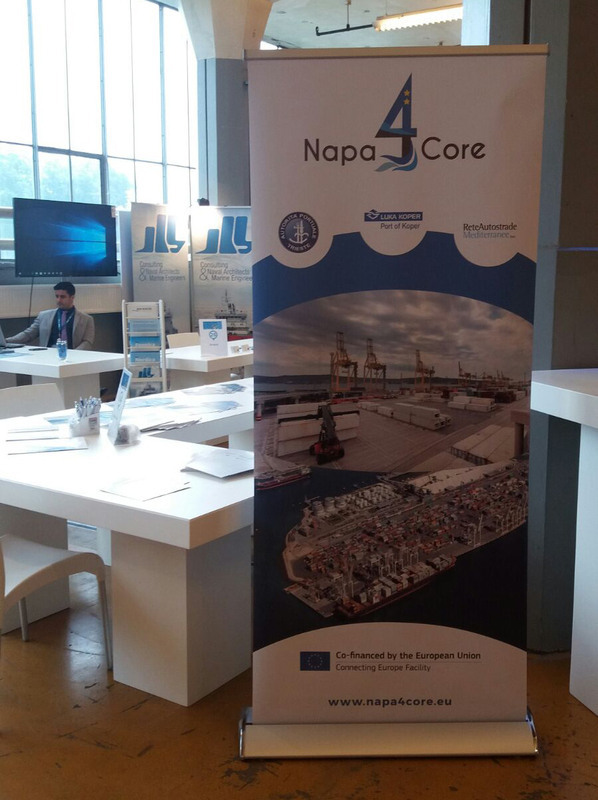 All the partners (Trieste Port Authority, Koper and RAM Spa) attended the event providing to the participants all the information and updates of the project.